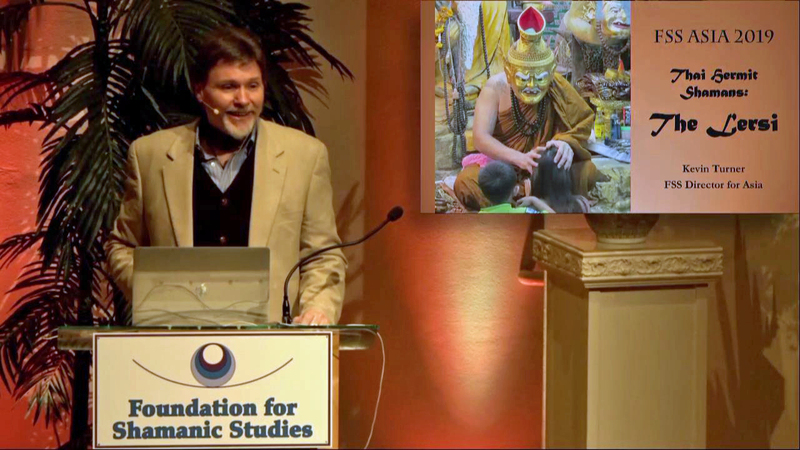 We began on Friday evening with a fascinating presentation by Kevin Turner, Director for Asia, on the Thai Lersi Hermit Shamans. Using video clips, Kevin provided a look at how the Lersi, among other methods, use amulets and tattooing for healing and protection. The evening concluded with video and commentary on Kevin’s experience with Ibu Gambuh, the Resurrected Shaman of Bali, as she performed extended extraction healings. On Saturday morning, Susan Mokelke, FSS president set the context for the day, taking a look at the Foundation’s history and development and where we are now. She discussed the relevance of shamanism today, and the critical need to bring the wisdom of the spirits to our communities and world—not only for healing, but to restore balance, unity, and harmony to carry us into the future. Sandra Harner, vice president and Director of the Shamanic Knowledge conservatory, gave us an inspiring message about the Foundation’s ongoing work and future potential. She announced exciting news about the preservation of Michael Harner’s library and personal papers by the Bancroft Library at UC Berkeley. View the video. Duane Elgin spoke to the importance of shamanic wisdom in a universe where everything is alive. He provided a look at the deeper trends that underlie what we see happening on the surface in our societies. He addressed some of the practical implications of a living universe, and how we would relate effectively to people, all of nature, and the universe itself, if we understood this fundamental truth. Duane finished with a message of inspiration and hope, offering a model of where humanity is in our development and suggesting possibilities for our maturation as a species and creating a future that nurtures all life. View the video. Stimulated by Duane’s presentation, we broke into several smaller groups for a dynamic discussion of what a vibrant future would look like for our community and our Earth. A spokesperson for each of the groups shared ideas raised by group participants. 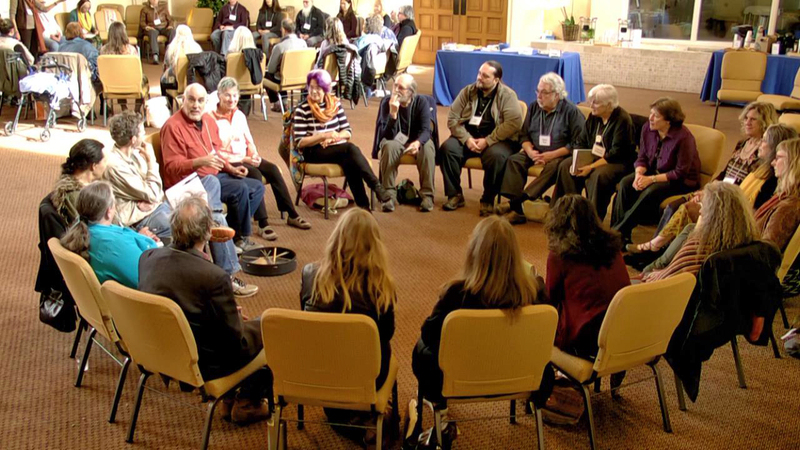 After lunch, four FSS faculty members led small groups in experiencing a shamanic practice of personal interest to them, which they had developed. The day ended with an experience of the Dream Dance. Susan Mokelke provided background and history of the Foundation’s involvement and instructions. Attendees took part in the dance, asking the ancestors for a vision of a vibrant future for our world. Participants were then invited to share their visions with the group—with many touching, inspiring, and hopeful contributions.